The President of the Independent National Electoral Commission (CENI) in the Democratic Republic of Congo, Cornelius Nangaa Yobeluo, met last Friday with the Ambassadors and Special Envoys of the European Union, African Union (AU) United States of America and the United Nations about the electoral process in the DRC. They reviewed all the major considerations for the feasibility of elections in the country as well as the expected contributions of various other stakeholders in the electoral process. This is the first visit of its kind by the envoys of the great powers of the world to the new Chairman of the Independent National Electoral Commission, in post since November 19. 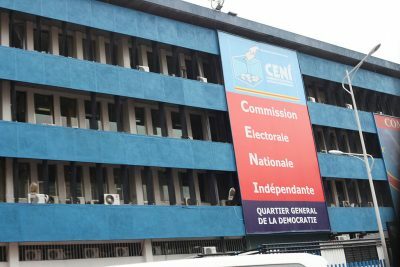 The President of CENI welcomed the clear support of the great nations of the world to the Congolese electoral process, while in particular thanking the support already deployed within the election management institution. Ambassadors and Special Envoys presented their courtesies to the new President of the Congolese Central Electoral (CENI), before formulating some concerns related to the new vision of the Independent National Electoral Commission, the prospects for the development of a revamped schedule and the main challenges facing the Congolese electoral process today. The CENI President took the opportunity to convey thanks on behalf of his institution to the international community for supporting the Congolese electoral process since 2006. He informed his interlocutors that from December 3 to 7, CENI members conducted an uncompromising assessment of the achievements, challenges and constraints of the electoral process to better gather the elements that could inform the development of a next refurbished electoral calendar. Cornelius Nangaa Yobeluo shared with his distinguished guests the various problems that stand in the path of the Congolese electoral process. Among them are particular problems which are the responsibility of CENI and which, as an institution, it is striving to provide solutions. This is the case of strategic planning studies, development of a logistics election technical and operational restructuring of the institution. In addition to these internal issues, concerns were identified that require solutions outside CENI. For example, the various legislative election challenges that require the revision of certain key laws such as the Law on the identification and registration of the elections and the electoral law. The first law is necessary because of some inconsistencies in relation to the electoral law. The same electoral law is another problem in Articles 115 stipulating that “each electoral district is entitled to an equal number of deputies to the result of the following: 1. 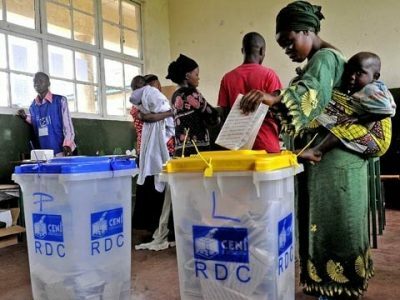 An electoral quotient is calculated by dividing the total population of Democratic Republic of Congo by the total number of seats in the National Assembly;” Article 145, paragraph 2 states: “the number of seats for each provincial assembly varies from a high of 48 and a minimum of 18. 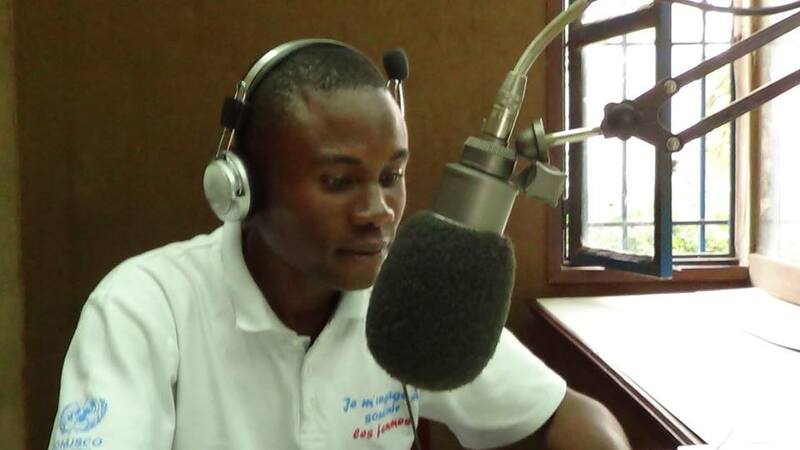 It is calculated in proportion to the number of inhabitants of the province.” These for CENI, are the questions preventing support for the urgent organization of elections. CENI also mentioned other external problems that require that key stakeholders in the electoral process are pronounced very clearly so that responsible options are exercised. This is particularly the question of election financing. Other calls in the wide consultation include those concerning 23,000 registered candidates in provincial elections. CENI is to establish an option that can provide a definitive answer to candidates and voters, as these elections have been called according to the electoral register in force. To this must be added the lists of candidates that have been developed on the basis of old political alliances, which are going to experience serious distortions currently. “From our side, the European Union, we have always said that we are willing to contribute. Above all the electoral list is a very important element in this regard but we wanted to be reassured of the overall political context. And I think the President of CENI has clearly identified its responsibilities but also, we need there to be a consensus at national level and where everyone has a responsibility: the Government, political parties and civil society to all be determined to have peaceful elections and respect the legal calendar. This legal framework is the Constitution but before the difficulties that arise, it is for the Congolese to set the options. What is important is that the election results are accepted by all. Obviously, this is beyond the legal framework as it also requires political will” Vervaeke added.